Dear Participants, Are you looking for NFL Recruitment 2019? National Fertilizer Limited has released notification for recruiting candidates on 40 Marketing Representation Vacancies. The Registration process will be started on 19 March 2019. Candidates may fill up their application form before the last date that is 18 April 2019. Candidates who have B.Sc.Degree can apply for NFL Jobs 2019 through online mode. 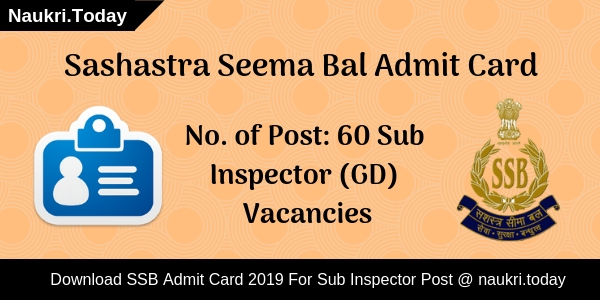 General and OBC category Candidates have to submit Rs. 200/- as an application fee. The Department may exempt reserved category aspirants from the payment of an application fee. 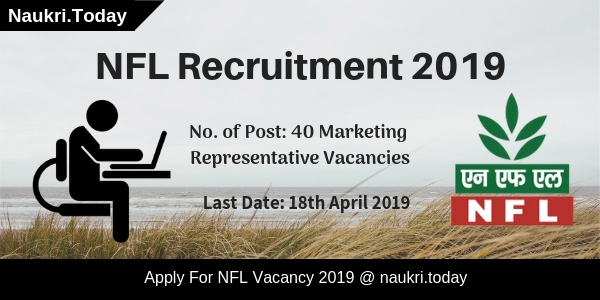 Fresh Update as on 20.03.2019: NFL Recruitment is available for 40 Marketing Representative Vacancies. Aspirants should check here eligibility criteria for NFL Recruitment 2019. Eligible aspirants may apply online for NFL Jobs 2019 from links given here. The Registration will be closed on 18 April 2019. What Is The Payment Mode For NFL Accounts Assistant Bharti 2019? Education Qualifications For NFL Marketing Representative Vacancy B.Sc. with 50% for General & OBC Category and 45% marks for Reserved category. What Are The Documents Required At the Time of online Registration for NFL Jobs 2019? Candidates may require some important documents to fill up an application form for National Fertilizer Limited Vacancy 2019. Firstly candidates should fill up their application form. after that insert passport size photo, signature, & Qualification details in a correct manner. If somebody insert photo and signature in the wrong manner their form will be rejected. Can We Edit An Application Form After The Last Date of Online Registration? No, We can not edit an application form after the last dates of online registration for NFL Vacancy 2019. The Department does not give any extra time for correcting an application form. Once you may submit your application form will be considered as final. Conclusion: National Fertilizer Limited has released notification for 40 Marketing Representative Vacancies. Candidates may apply online for NFL Recruitment 2019 from links given here. For more details read above article carefully. 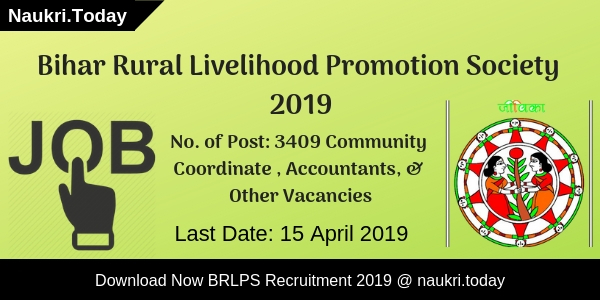 Hello Friends, National Fertilizers Limited has published notification for filling up 52 Accounts Assistant Vacancies. Candidates may eligibility criteria details before applying for NFL Recruitment 2019. The Registration Process for Account Assistant Posts is begun from 31st January 2019. Interested candidates apply online before the closing date 28 February 2019. Candidates who belong to General and OBC Category have to pay Rs. 200/- as an application fee. SC/ST/ExSM/ PWD category may exempt from the payment of an application fee. For further more details regarding NFL Vacancy, aspirants may refer to the given below article. Education Qualifications For NFL Recruitment 2019 B.Com. The Upper Age relaxation is given to the reserved category candidates. The age relaxation is applicable as per department rule for NFL Recruitment 2019. 3 years of age relaxation is given to OBC Category candidates. and 5 years of age concession is applicable for SC/ST category candidates. Candidates can submit their application fee for NFL Jobs 2019 through online mode only. For payment of an application fee, applicants should use their Credit Card, Debit Card, & Internet banking. Candidates should log on to the official website of National Fertilizers Limited i.e nationalfertilizers.com. After that sear5ch for Recruitment section at the Homepage. Eligible candidates may fill up online application form here. Pay your application fee through online mode. Now Recheck your complete application form and click on submit button. Conclusion: National Fertilizers Limited has issued notification for 52 Accounts Assistant Vacancies. Participants should check here eligibility criteria before applying for NFL Recruitment 2019/ For more information candidates may refer to the above article.